Atlanta’s emblem shows a phoenix rising out of flames, and if someone doesn’t think that’s the realest depiction for an inner-city community, then they’re wrong. No matter where you’re from there’s always a sense of pride that comes with seeing someone make it —or make it out. In Atlanta, it doesn’t matter much who it is. A friend, a neighbor or even a local rapper–success in any degree is reason enough for celebration. Gucci Mane, formally known as Radric Davis,is one phoenix who truly rose out of the fire. A self-made entrepreneur, Mane is a man of many titles: rapper, producer, songwriter and published author. In his memoir, “The Autobiography of Gucci Mane,” Mane calls on intimate memories that reveal what it took for him to make something out of himself while growing up in East Atlanta and his journey since then. Since its release on Sept. 19, his book has graced the New York Times Bestseller List, landing at No. 4 on the hardcover nonfiction list and No. 4 on the combined print and e-book nonfiction list. There’s good reason for that, too. Readers from every walk of life revel in the stories of Radric Davis turned Gucci Mane. His personal stories of overcoming hardships make his memoir a magical piece of modern-day literature. Beginning from the ATL streets (to jail, to touring across the nation, to prison and then bouncing back like no one else), Mane recalls his mistakes and most humbling lessons. Despite his hardships, Mane continued to make music and tell us how his past acted as a motivating pivot in the right direction for his future. He walks readers through his trials, successes, and failures and addresses the sensitive topics about his personal endeavors with an all-infused Gucci tone. For those of us who have his lyrics or beats ingrained in our minds, Mane makes sure to touch note on the makings and inspirations of those beloved tracks. Through drug addiction, drug selling and drug-selling music, he tells how he became a man of not just many names but many trades. His words of advice for aspiring rappers and musicians: “Make as much music as you can, as quickly as you can, and release it all for free.” He attributes his continual release of mixtapes and featured tracks for keeping his own spirit alive and his fans’ faith burning. Gaining even more success (and life-points) since his release from prison in June 2016, it’s almost no surprise that his memoir is as entertaining as it is. It’s comical, relatable and just a damn good read. 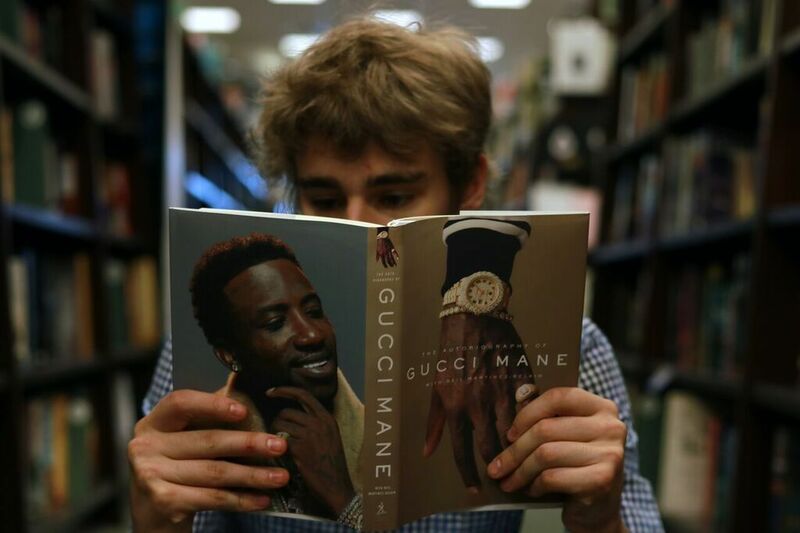 VERDICT: A more human side of Gucci Man comes alive in the pages when he talks about his music’s impact on his life. His life’s and his music’s transformation is told through a profanity-laced narrative that keeps it easy to read. It brings him down to earth from a famed-celebrity and rapper to a humbled phoenix rising out of Atlanta’s flames.